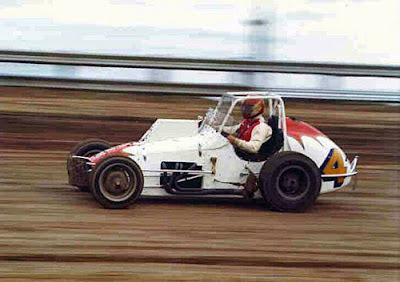 Cedar Rapids, Iowa (June 15, 1969) - It was with a cloud of dust and a hearty Chevy-powered sprinter that Don Mack captured the 25-lap Dad's day sprint car classic Sunday afternoon at Hawkeye Downs. Mack, the 9-year veteran from East Grand Forks, Minn., who ranked second in International Motor Contest Association point standings going into Sunday’s events, closed the door on the rest of the 19-car field on the 20th lap to earn the top prize of $400. 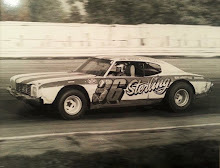 Mack had started third on the half-mile dirt oval, which dried out considerably in the warm sun and created plenty of dust. 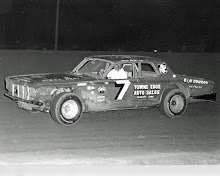 Mack took the lead for the first and only time from Pleasantville, Iowa's Earl Wagner on the first lap after the only yellow flag, which was out for five laps. Second place went to Darl Harrison of Tiffin, Ohio, the IMCA point leader who opened on the pole. Third was Jay Woodside of Kansas City, with Cliff Cockrum of Benton, Ill., and Wagner rounding out the top five. 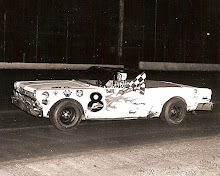 Harrison copped the trophy dash, while heat wins went to Ron Jackson of Burlington and Sonny McDaniels of Houston, Texas. Woodside won the consolation event. Don “Itch” Daniels of St. Paul, Minn., was involved in the most serious accident of the day. His Ford-powered sprinter lost its steering mechanism going into the second turn of the first heat and flipped over the rail. Daniels was treated for facial cuts and was released from the hospital before the program was completed. 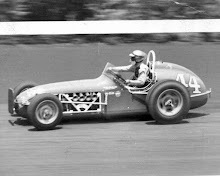 His car - the same one in which Harry Kern was killed last year in the Little 500 at Anderson, Ind. - was badly damaged. 3. Jay Woodside, Kansas City, Mo. 4. Cliff Cockrum, Benton, Ill.
7. Jerry Blundy, Galesburg, Ill.
8. 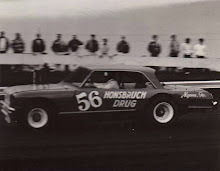 Gene Rohl, Lake Mills, Wis.